If the flashing green light doesn't turn solid after 90 seconds, try the next solution. 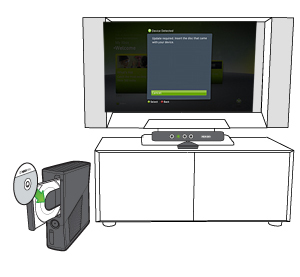 Note If you don't have a Kinect game disc handy, see How to get a new Xbox 360 update for more update options. Would you like to contact Support regarding the "Error C0051012 and a flashing green light occur when using Xbox 360 Kinect" issue you were reading about or a different issue?